First edition by Kenneth Chalmers - has a different cover now. Your barricades lie broken ... your enemies lord. That was a very good series - I have the one on Korngold. 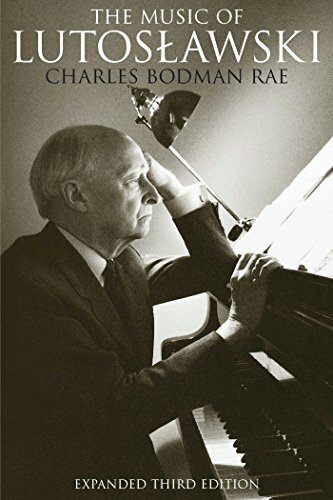 I am currently reading this book about Witold Lutoslawski, probably the most important Polish composer of the 20th century. 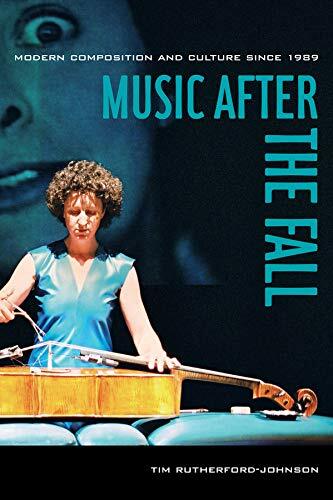 The book is well written, even if some of the more technical descriptions of his music are too theoretical for me as a lay person. So, I skip them. I acquired 8 Naxos CDs with essentially his whole orchestral output to follow his development also aurally. I like most of what I heard so far. Only his 2nd symphony I did not grasp, that sounds just boring to me, especially the first part. Avec Stravinsky, ed. Pierre Souvtchinsky, Ed. du Rocher, Monaco, 1958. This book is discussed in vol. 2 of Stephen Walsh's biography of Stravinsky. It includes texts by the composer himself, Robert Craft, Pierre Boulez and Karlheinz Stockhausen. 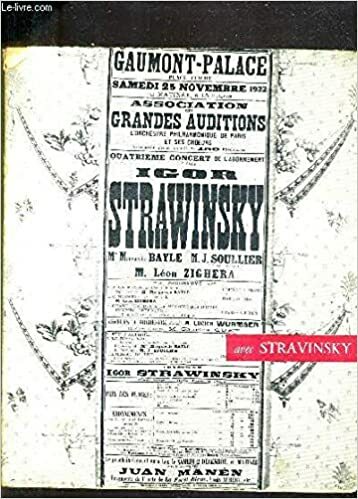 Apparently, this Avec Stravinsky was meant to publicize Stravinsky's then recent embracing of serialism. La musique et ses problèmes contemporains 1953-1963. Julliard, Paris, 1963 (Collection "Cahiers Renaud - Barrault"). N.B. : I haven't been able to locate a cover image on the web (the image above is of the 1953 cahier, essentially the first half of the book I found). 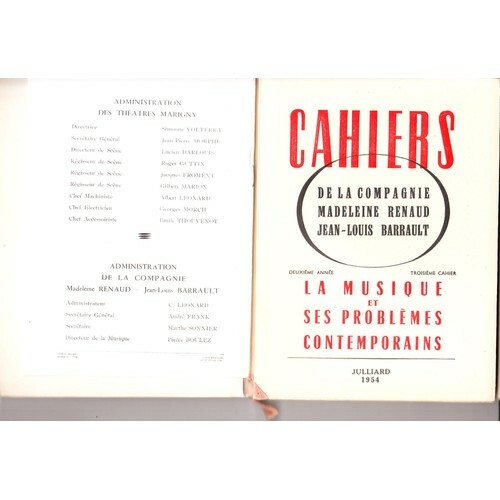 This publication unites the two numbers of the "Cahiers de la Compagnie Renaud - Barrault" decicated to the Domaine Musical, the first one from 1953, and then a second one for the 10th anniversary of that concert series. Texts by Barrault, composers like Boulez (of course), Barraqué, Kagel, Berio, Stockhausen et al., poets Char and Michaux, and assorted figures like Heinrich Strobel, André Schaeffner, Souvtchinky, Boris de Schloezer and Adorno. Also, there's very little writing on contemporary music to be found. For that you may want to wait for Tim Rutherford-Johnson's book which I'm hopeful for at least. Rutherford-Johnson's book was published last year. Looks very interesting. The book was praised by Ross, Griffiths, and Lim. I read Solomon Volkov's Testimony: The Memoirs of Dmitri Shostakovich, whose credibility is questioned. Is there a general consensus about it? If it is unreliable or inaccurate, is there a good book about Shostakovich and Russian composers related to him (such as Glaznov, Prokofief, Weinberg, etc.)? The pre-eminent work you must get is MUSIC AND MUSICAL LIFE IN SOVIET RUSSIA, 1917-1981 by Boris Schwarz.